It’s tempting to hope that “natural” products might relieve MS symptoms, but which ones really do? More and more people with MS are looking into so-called natural remedies — mostly herbs, vitamins, and supplements — as alternatives, or complements, to prescription drug treatment. 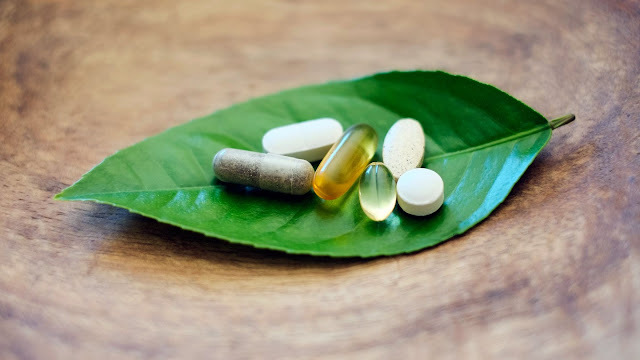 But caution is necessary, because even some supplements that appear to be helpful have actually been shown to be harmful when tested in clinical trials. “Talking to your doctor is certainly the first step before trying any supplements,” says Ellen M. Mowry, MD, associate professor of neurology and epidemiology at Johns Hopkins Medicine in Baltimore and a specialist who treats people with MS.
“I think sometimes people get frustrated that doctors aren't more ‘positive’ about supplements, but as a neurologist, I expect to see the same high-quality data for a supplement as I would expect for any medication I prescribe before recommending it,” Dr. Mowry says. So which supplements are worth exploring, and which should you avoid? Here are some natural remedy dos and don’ts for people with MS.
Research has shown that low blood levels of vitamin D may increase the risk for developing MS. In addition, studies have linked low levels of vitamin D with increased disability in people already diagnosed with MS. Although vitamin D is generally safe, Dr. Yadav adds, too much of it can be a problem, leading to vitamin D toxicity and serious side effects. It’s best to take any vitamin D supplement under the supervision of a medical professional who can monitor your blood levels. Ginkgo biloba is an extract produced from the leaves of the ginkgo tree. It’s typically taken to improve brain function and memory, although clinical trials of ginkgo have not consistently shown these benefits. To date, scientific evidence supporting its effectiveness in treating memory loss associated with MS is limited, with multiple studies producing mixed results, according to guidelines published by the American Academy of Neurology (AAN) in 2014. “At the present time, based on current evidence, we don’t recommend ginkgo biloba for cognitive function in people with MS,” says Yadav, who was the lead author of the guidelines. On the plus side, a study in which people with MS were given 240 milligrams (mg) per day of the herb for a 4-week period showed that ginkgo did provide significant reduction in fatigue symptoms compared to the effects of a placebo. Ginseng, an herb used in China for medicinal purposes for more than 2,000 years, has been found in some clinical studies to reduce fatigue, although how it works remains unknown. But as noted in a July 2011 study in Multiple Sclerosis Journal, giving American ginseng extract to people with MS in escalating daily doses of 100 mg, 200 mg, and 400 mg for the first 3 weeks of a 6-week period failed to show any benefit. Worse, some of the study participants experienced insomnia, particularly while on higher doses. Yadav adds that while smaller doses of ginseng extract (less than 2 grams per day) appear to be safe, higher doses (more than 3 grams per day) have been linked with side effects such as high blood pressure, insomnia, rash, and diarrhea. A study published in May 2014 in Multiple Sclerosis International found that low levels of certain antioxidants in the blood of people with MS may contribute to worsening symptoms. Green tea is rich in antioxidants as well as epigallocatechin-3-gallate (EGCG), a compound found in most tea leaves that may boost the immune system as well as brain cells. Although studies of the benefits of green tea in people with MS have yet to yield conclusive results, small amounts are perfectly safe and may help you feel better. Green tea supplements, on the other hand, are not without risk. A study published in November 2015 in the Journal of the Neurological Sciences found that high amounts of polyphenon E, or green tea extract, can lead to severe liver problems. Coenzyme Q10 is an antioxidant that is naturally produced in the body. It’s used to help convert the food you eat into energy. A study published in April 2016 in Nutritional Neuroscience found that a supplement containing 500 mg of coenzyme Q10 given once a day for 12 weeks reduced the symptoms of fatigue and depression in people with MS compared to those who didn’t use it. But Yadav says these findings need to be repeated in larger studies before clinicians can draw specific conclusions. Lipoic acid is an antioxidant available in both oral and IV forms. According to Yadav, it has been prescribed successfully in Germany for the treatment of diabetic neuropathy. The first human trials of lipoic acid in people with MS found that 1,200 mg per day of the supplement reduced brain atrophy by 68 percent, with a significant preservation of brain volume over a two-year period.